Clergy, academics, lawyers, journalists and artists launched a broad coalition against the "autocratic rule" of Philippine President Rodrigo Duterte. More than 400 people representing an array of organizations, including the militant left, launched on Aug. 28 the Movement Against Tyranny (MAT) at the Maryhill School of Theology in Quezon City days after more than 1,000 protesters joined the funeral march of a 17-year-old student killed by police. 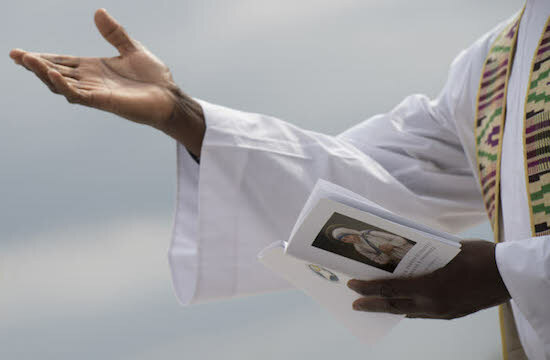 Organizers said a quarter of the mourners came from faith-based groups, including a bishop and priests, nuns and seminarians of the Catholic Church. The Nicodemus Solidarity group said Roman Catholic congregations were to hold a mock burial for human rights on Aug. 29 as a follow up event. As Duterte urged Filipinos to uphold the rule of law during commemorations honoring the country's national heroes, MAT speakers at the coalition's launch reminded citizens that many of these heroes were jailed or killed for fighting for the rights of Filipinos. They tore a banner depicting a horizontal clenched fist that Duterte has made famous and introduced their own logo using the same colors, showing a woman fighting for freedom and civil liberties. "I am happy to see today people who do not usually work together," said performance artist Mae Paner about the movement launch, which included doctors, environmentalists, bankers, writers and socialites. Jose Luis Martin Gascon, head of the government's Commission on Human Rights and a thorn in the side of the president, said it was "the widest array of fighting people" he had seen in a long while. Families of some of the 12,000 killed in Duterte's drug war spoke of new-found courage to file cases against police killers. Survivors present also testified to being tortured by officers. 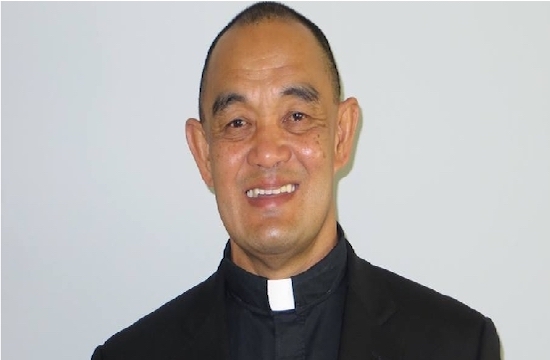 Benedictine sister Mary John Mananzan said one three-year-old boy was splattered with the brains of his father whom police shot in the head while they were sleeping. She urged the movement to help protect schools for indigenous children from Duterte, who has threatened to bomb them for allegedly teaching children to be rebellious. Jong Monzon, leader of the PASAKA Confederation of Lumad Organizations in Southern Mindanao, said 44 members of the group have been killed since Duterte assumed power. Duterte is on the defensive after police admitted they arrested teenager Kian de los Santos with no previous information of his involvement in criminal activities. Forensic experts said police killed the young man while he was kneeling down. Witnesses testified police shot Kian as he begged for his life. The outcry has forced Duterte to backtrack on a pledge to protect all police facing charges of killing suspects in cold blood. But he threatened last week to punish groups campaigning for a halt to the killings and has repeatedly blamed human rights activists for smearing his government's image. Journalist Vergel Santos, of the Center for Media Freedom and Responsibility, called the president an evil plague, who threatens not only human rights but also national sovereignty. "We cannot do anything but fight. We must not even put limits to where our fight stops," Santos said. "We are fighting to the survival of his country's democracy." Coalition members said they expect a backlash from government. A police vehicle was seen outside where the event took place. "The next life to be taken could be mine," said Paner, who was threatened by the military when she donned a soldier's uniform for a skit depicting the drug war. "It helps to know you are not alone. This is the time for courage," she said. "Life is short. This is the way we give it meaning." "Even if they train their guns on us, we will fight," vowed Mananzan. On Sept. 21, MAT will hold a rally in Luneta Park, the site of previous large protests in the country. Will Philippine church leaders waltz with Duterte?